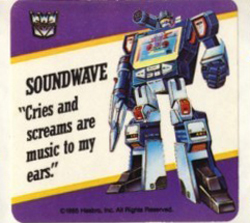 1985 Hasbro Trasformers Action Cards are the first trading cards based on the iconic toy line. The set features a large checklist made even more challenging thanks to lots of variations. The set remains extremely popular today as the franchise reaches another generation and original collectors look for a nostalgia fix. 1985 Hasbro Transformers Action Cards have a 192-card checklist. 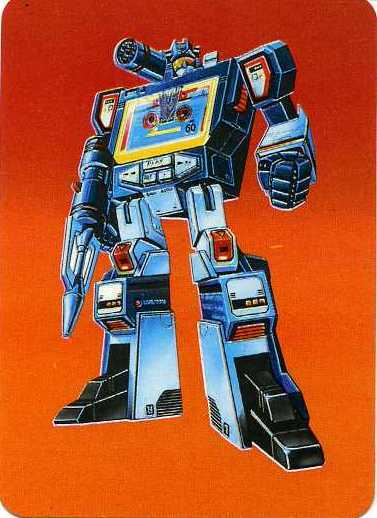 They include both Autotbot and Decepticon profiles as well as recaps from the classic 1980s cartoon. Autobot profiles make up the set's first 41 cards. Megatron, Soundwave and the rest of the Depcepticons get their turn in set between numbers 97 and 122. Profile card fronts have an illustration of the character based on the toy line. The look is distinct from the cartoon with more details. Card backs include a character quote, their specialty and a bio. The bottom of the card includes "Tech Specs," a ten-point ranking of various skills. Many of the profile cards have variations based on the background colors on the front of the cards. This site has a breakdown of them all. Most collectors consider a basic 192-card set to be complete. The remaining part of the set features story synopses from a handful of cartoon episodes. Images are arranged horizontally with a write-up on the back. All 1985 Hasbro Transformers Action Cards have rounded corners, similar to a deck of playing cards. The card stock is also similar, including a glossy front. Every pack also came with one of 24 different mini stickers. Each has a motto or quote from the featured Transformer. Skywarp is considered a short print. 1985 Hasbro Transformers Actions Cards came in eight-card hanger packs. These made them ideal for retail locations. They're also much larger than traditional wax packs. I have four complete sets in excellent condition for sale. asking $300.00 for each, anybody interested? Is there a place I could go to find the value of these cards. I have a stack of series 1. I have series 1 card 1 but cannot find a value. Any help? Darren � Singles are usually a dollar or two. Completed eBay auctions is the easiest way to find what things are going for. For a set like this, head to the trading cards section and search for “1985 transformers” and you should get results. Some singles may have a small premium, but not much. Cards are valued as common or variation.Commons are $2.00,variations range from $5-$25.Stickers common $1-$2 and Skywarp can be up to $50.Sets are valued at $200-$250(COMMONS ONLY),the last “complete”set sold for $600(249 cards) but expect to pay more depending on amount of cards on set. Yes there are more than 249 cards. I have multiple complete sets of the Australian version of the 1985 cards. This set which only had 100 cards in its set. A complete set is almost impossible to find in Australia. I would say impossible to find outside of Australia. My sets are what I would call near mint and very good conditions. How much would these complete sets sell for? I also collect Diamond sticker sets and Panini sticker sets.